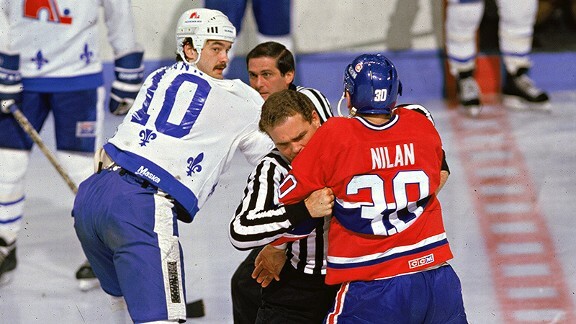 If you ask most people what is one of the biggest differentiating things about hockey compared to other sports, it would likely be the inclusion of fighting. Fighting has been a part of the game forever and will likely continue to be. 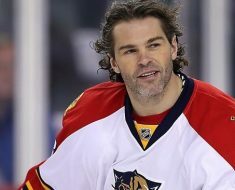 Throughout the many years of the NHL, numerous players have gotten a reputation for being some of the toughest of all time, including these five men. It is no surprise that a man whose nickname was “Knuckles” would be among the toughest and best fighters in NHL history. 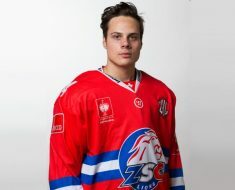 Nilan actually grew up a massive Boston Bruins fan but actually ended up being drafted by (and playing for) their bitter rival, the Montreal Canadiens. This guy wasn’t afraid of anybody and loved to fight. He also holds the record the highest average in penalty minutes per game in league history. 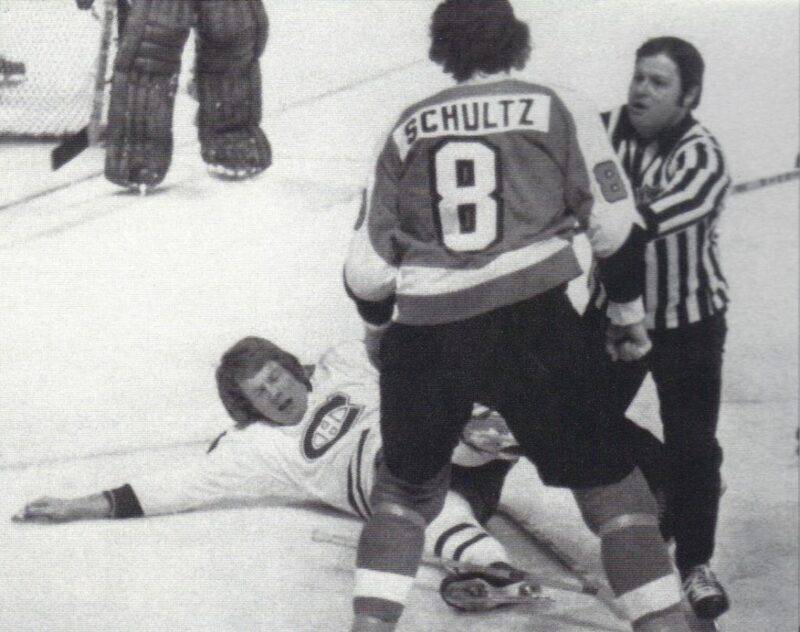 Schultz is without a doubt one of the most famous and vicious enforcers in NHL history. 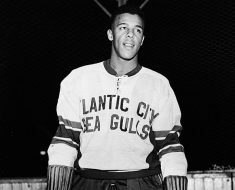 He was a founding member, so to speak, of the Broad Street Bullies and lived up to that moniker with his scraps. 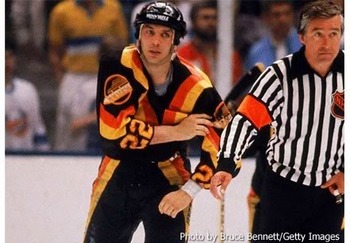 In fact, Schultz fought so much that he actually began to wrap his wrists in the same way that boxers do in order to provide more wrist support for his fights. However, the NHL soon caught on and outlawed this practice. 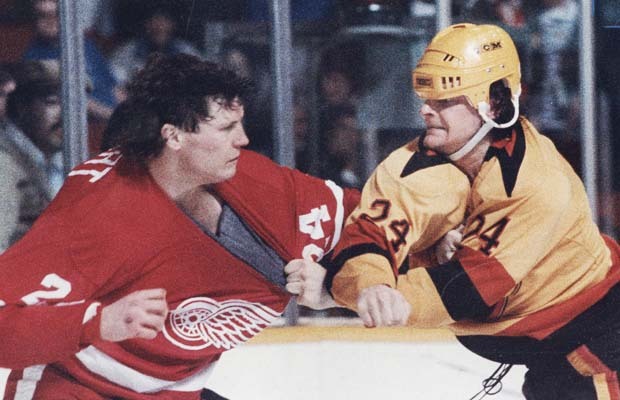 When people think of big, tough and gritty fighters and players, Bob Probert is always at or near the top of the list. From the first time he stepped foot into the league, he was already seen as a tough and imposing player. Probert, along with teammate Joey Kocur were a tandem known as the “Bruise Brothers” for their toughness and fighting prowess. By the end of his career, Probert had racked up 239 fights, which goes down as one of the highest numbers in NHL history. In addition to being in a lot of fights, Probert was also in some of the most memorable and exciting in history. Despite his small stature, Domi was still one of the most feared and respected players of his time. And what this man may have lacked in size, he more than made up for with his toughness and intensity. He would not back down from anyone, no matter their size or reputation and fought the who’s who in NHL history. 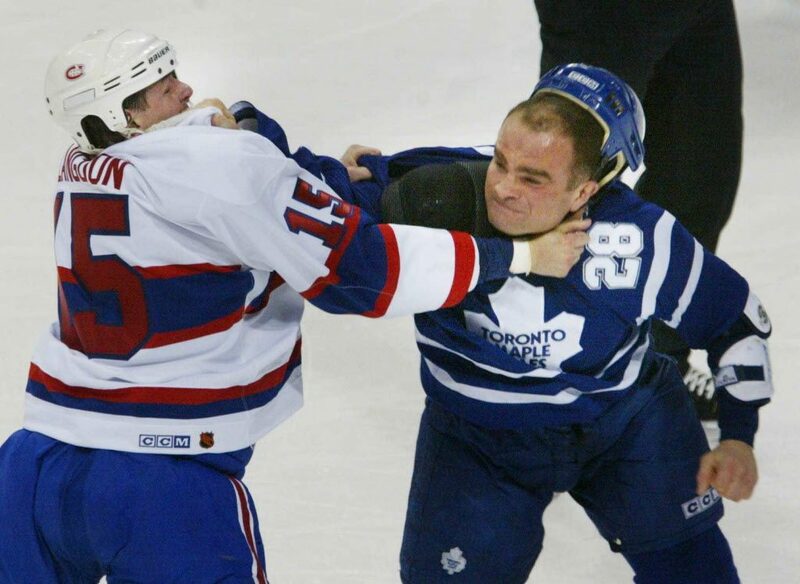 He retired with nearly 275 fights and is likely one of the biggest fan favorites in Toronto Maple Leafs history. While actually being a capable and solid contributor on the offensive end of the ice, Tiger Williams was without a bout best known for his toughness and grit on the ice. In a similar vein as Tie Domi, Tiger often fought men much bigger than him and wouldn’t back down from anyone. In addition to having almost 250 fights in the NHL, Williams is the all-time leader in penalty minutes and his record will likely never ever get close to being beaten.